Suna não está aceitando novos alunos. *I work at a language school from 13-21 so I can't have any night time class. I am so happy to be in here. Currently, I am learning three different kinds of languages myself, Japanese, Spanish and English. I know it is hard to get a knowledge of self-studying. That's why I am here! Don't hesitate! Just take a trial lesson and see what's going on later! I am making my own books for beginners(Actually, I gave up myself because I used so many pictures of mine) and I will make books for upper beginners and pre-intermediate level later. I can't wait to meet you!!!! *I don't have any lessons on Saturdays(In Korea time). I need to rest... Sorry! *Please be aware your lesson time!! 망설이지 말고 시범수업 한 번 들어보세요! 그리고 나중에는 upper-intermediate 분들을 위한 교재도 만들 거예요! Cambridge certificate of Course Completion. 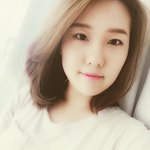 Why do Koreans use "ㅋㅋㅋ" frequently?